The Insteon LED bulb offers an alternative to replacing a wall switch or wall plug by building remote control directly into the bulb itself. Perfect for those not comfortable replacing wall switches. Link the bulb to Insteon compatible remotes, keypads, motion sensors and more. Looking for smartphone control? Add to the Insteon Hub (2245-222) and be able to set on-level, schedule timers, and even control the bulb with your voice from Amazon Alexa or the Google Assistant. The bulb supports dimming via Insteon controllers or via voice commands (requires Insteon Hub 2245-222). Do not connect to existing dimmable wall switches or lamps with built-in dimming controls. 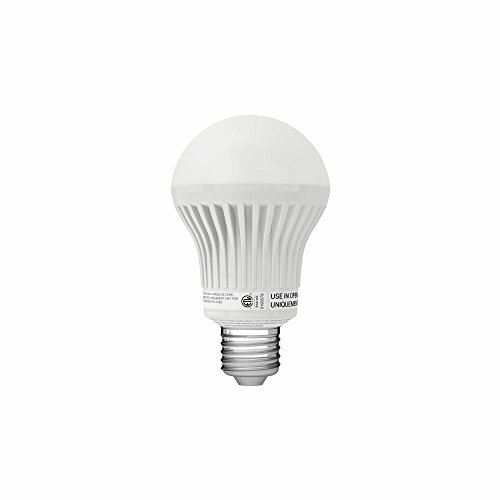 The Insteon LED Bulb produces a warm white color and is energy-efficient at 8 Watts (60 Watt equivalent). Not compatible with Philips Hue, Smartthings, and Wink.